Hai Sai! Welcome to my Blog. Hello, my name is Tom Corrao and I am the blogger behind the Okinawaology Blog. I created this blog to share and discuss all things Okinawan. I’m also the Public Relations Officer and Minkan Taishi to the Chicago Okinawa Kenjinkai. My experience with Okinawa is derived from the time I spent there during the 1980's and 90's (10 years) when serving in the United States Air Force. I've also been married to an Okinawan woman for 30 years now and have been immersed in many things Okinawan through both friends and family. I do not claim to be all knowing about everything Okinawan but I try hard and study the history and culture. I welcome everyone that is interested in Okinawa and hope that I can provide useful information to those uchinanchu that may be curious about their culture and heritage. I also welcome those who are not of Okinawan heritage but have experienced, or are experiencing, the islands culture while stationed there with the United States Military. Comments are welcomed and will be published as long as they are in good taste and on track with the purpose of this blog. My hope with this blog is to bring Uchinanchu people around the world a little closer to their cultural roots by expressing information that has started to fade in light of a more modern world. We should never forget our culture or the people who came before us and through the Blog my intentions are to meld the old with the new and implant knowledge that will help maintain the traditions and culture of an island people. When one thinks of Okinawa there are a few common symbols that may come to mind. I didn't really give it a second thought when I first saw them and simply believed that they stood for Okinawa the way a state symbol represents a state in the USA. I guess I never really gave it a thought what the various things portrayed in the state symbol for Wisconsin were either. Anyway, these symbols do have meaning and I will attempt here to explain the meaning of some very common symbols you may see when in Okinawa or any of the other Ryukyu Islands. 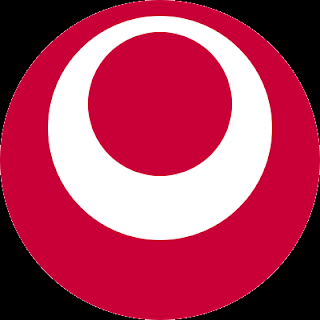 Let's begin with the Prefectural Symbol of Okinawa. This symbol was adopted as the official government symbol to Okinawa Prefecture in 1972 when reversion gave Okinawa back to the country of Japan. The outer circle of the symbol represents the ocean which plays such a large part in Okinawa's identity. The white circle symbolizes a peace-loving Okinawa and the inner circle symbolizes a globally developing Okinawa. In short, the mark symbolizes "Ocean" "Peace" and "Development" all primary concerns to the people of Okinawa. The next common symbol is called the Hidari Gomon and it was once the Royal crest of Ryukyu Kingdom in Okinawa. In Japanese it is called the Hidari mitsudomoe and is a common design element in Japanese family emblems (家紋) and corporate logos. The Hidari Gonon is the primary traditional symbol of Okinawa. It is unclear who used the symbol first but it has special significance to the Okinawan people especially those practicing the ancient art of Okinawan Karate. I have heard a couple different interpretations of the meaning of the symbol so their may be more than one definition for the symbol. According to the story the origin of the Hidari-Gomon takes place in feudal Japan, when the feudal lords and their private armies of samurai fought fiercely for land ownership. It was during a time of constant war in Japan. During these wars, Okinawa was defeated and dominated by the lord of Kagoshima, who imposed conditions on the Ryukyuan people. He proclaimed without exception that the people should go unarmed and that those who were found carrying weapons should be executed. Also, as a tribute of war, he proclaimed that Ryukyuans should submit an annual tax of rice to Kagoshima. For many years the Ryukyu people religiously fulfilled the terms of the lords agreement. At the time rice was plentiful and no one went armed because a way of fighting had been developed in Okinawa which did not require the use of weapons. We now know this as Karate. Karate was developed because the Ryukyuan King did not want his people to be defenseless and he began secretly sending members of his guard to China, where he knew various forms of bare-hand fighting were being taught. Gradually, karate was being formed, the weapon was the body of the fighter, and it did not conflict in any way the terms imposed by the lord of Kagoshima. Everything was fine until a great drought occurred in the Ryukyu Kingdom, which caused a shortage of rice throughout the islands. This cause extensive poverty and hunger among the Ryukyu people and prevented the kingdom from being able to make the payment of rice to Kagoshima. Seeing the suffering of his people the Ryukyu King decided to send a delegation to Kagoshima with a message reporting the sad situation of his people and asking at the same time to forego the rice tax that year. This in the Kings mind was surely a reasonable request as there wasn’t even rice for those farmers who planted it. The King’s envoy left the kingdom escorted by three unarmed samurai guards and was received by the lord of Kagoshima, who was outraged by the audacity of the Ryukyuans. Not only did they not bring the rice, but they had the guts to still come and ask him to excuse their debt. The Lord of Kagoshima then ordered his Samurai to kill the messenger. One of the lord’s samurai came towards the envoy with his spear but the three unarmed Ryukyuan guards were able to easily defend against the attack. 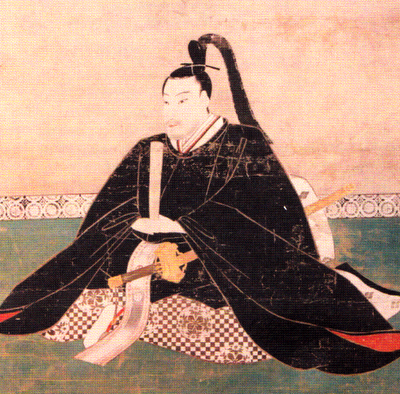 This surprised the Kagoshima Lord who considered his samurai to be invincible warriors. As other samurai came to assist in the capture of the Ryukyuan guards, the envoy tried to reason with the lord by explaining further that the people in the Ryukyu Islands were starving, trying to make him understand the pain and suffering of the Ryukyuan people. The lord ordered the immediate execution of the three guards by having them thrown into a huge caldron of boiling water used for extracting oils for fuel. They struggled in front of him and the envoy where they screamed out, pleading not for their own lives but for the lives of the Ryukyuan people. Hearing their screams for him to save the Ryukyu people even as they were boiling to death moved the Kagoshima lord. It caused him to finally open his mind to the suffering of the Ryukyu people. When he finally realized the extent of the of the Ryukyuan people’s plight he expressed solidarity to those people, and not only accepted their excuses for not paying tribute but had his men carry a cargo of rice to the islands to ease the hunger and suffering of the island people. In return for his generosity he requested that the masters of the art of Karate come to Kagoshima to teach his men the fighting techniques he had observed defeat his warrior. The value and courage of those three Ryukyuan warriors initiated a new period of relations between the two kingdoms and eventually led to the cooperation and friendship of both peoples. The next symbol is called the Uechi-Ryu Okikukai symbol. 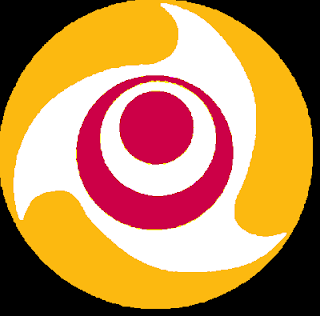 It is a composite of the two previous symbols, one representing the old Ryukyu Kingdom and the other representing modern Okinawa.The official prefectural symbol of Okinawa is in the center of the symbol to represent modern Okinawa and is encircled within the symbol that once represented the historic Ryukyuan Kingdom consisting of three yellow waves that circle a white region. The Uechi-Ryu Okikukai symbol which is used to represent one of the Okinawan styles of karate is the old blended with the new. This is only one of many Okinawan Karate symbols derived from both ancient and modern symbolism of the Ryukyu Isles. Here are some other symbols associated with Okinawan Karate. I'm not sure if I agree but I can see the symbolism. I have a stainless steel necklace with the second symbol!!! what does the symbol mean? The bottom right of the 4 logos together is my dojo symbol. If you would like a updated image of it with the Kobayashi Ryu kanji that I am using after my trip to Okinawa 2010 please let me know. Thanks Brandon, I just grabbed them from the net. Maybe I'm missing the connection between the Okinawa 3 swirl one and the relation of karate. I know it somehow makes sence, but someone care to explain? 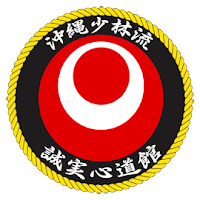 The symbol is commonly used to identify karate dojos with an Okinawan style of karate. а good foг me to go to see this website, іt сontains pricless Іnformation. Do you know "kamon" or familiar symbols from real families or bushi families in Okinawa??? The flag in the differents Sho dinasties or Hokuzan, Chuzan or Nanzan symbols???? No sorry I don't know. Maybe a reader can respond. Do you know other origin of symbols like the Miyagi family, Mabuni family, Meitoku family simbols...? Well I live in Kenosha Wisconsin. I moved here in 1992 after getting out of the United States Air Force. While I do believe that a certain amount of military presence is necessary and good to the Okinawan community I also would support some downsizing of the number of troops stationed on the island. Many times we only hear the negatives associated with the military forces stationed there but as many of us know there are pluses and minuses to the politics of it all. I support the Okinawans as a people and the Japanese as another people although these days the lines are more and more blurred. I do not wish to make this a political site but I do wish to incite exchange of information and ideas. I hope to do this in a neutral manner so that everyone can come to their own conclusions. I hope to someday return to Okinawa and live there once again maybe for another ten years. If you have a job for me let me know and I will consider it. Nifee deebiru! I began my journey to better health and fitness on 12/26/11 and have now progressed to the point that I feel I need to express my thought to anyone who cares to read them.